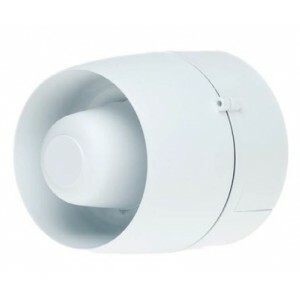 The VTG family of sounders has been designed to cover a wide spectrum of applications. The 24 volt EN54-3 approved version is for use with conventional fire alarm systems including two-wire (SAV-WIRE®) and as standard comes with 32 tones. The sounder is supplied with a two stage alarm override which is activated by a third negative wire from the fire panel. All tones have been selected to comply with the latest sound patterns and frequencies used throughout the world. All tone options are fully synchronised. The sounder function has been fully approved to EN54-3 by the LPCB and VdS on tones 1, 8, 11, 25 and 27.